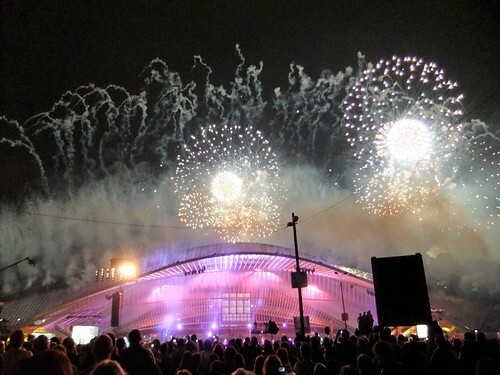 Yesterday night the new main train station was finally inaugurated after 10 years of planning and construction. The architect, Santiago Calatrava, was there for the ceremony, along with several leading political figures and royalty. 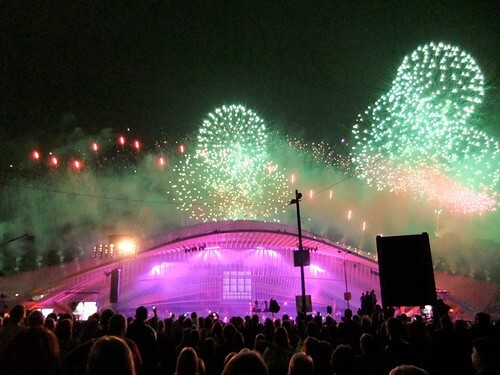 The ribbon was cut by the crown prince Philip, an act that was followed by a 1-hour dance, sound and light show which culminated in a fantastic fireworks display. 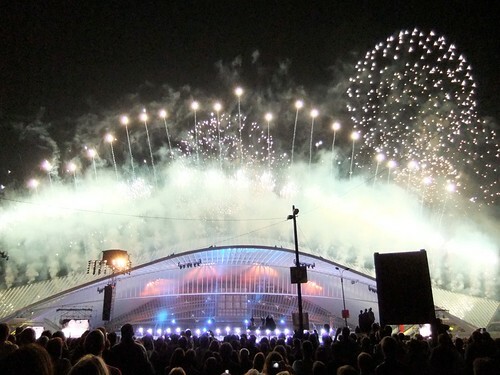 Unfortunately, the show was designed for TV, not for the 30,000 or more live spectators who saw almost none of it. Here's some photos of the fireworks. Wonderful light show, awesome fireworks. Thansk for sharing. Well, the photos certainly look impressive! These are excellent, Greg! I hope all had a great time. And congratulations on the end of the restoration project. What a grand celebration, and you got some great fireworks shots! I'm always too enthralled, therefore,forget to press the camera button! Fabulous photos, Greg! Wow! That was quite a fireworks display! I hope a great time was had by all!! Lift off - will the trains fly too? I was there at the back and took similar but not as good photographs. When it finally started: I was amazed. It got better and better. The fake train, horse riding and the bouncing people somersaulting from bungees from the station ceiling were excellent. Hats off the the chap who made the station, and planned the son et luminere: I think it was a chap from Cirque du Soleil - Am I right? Congratulations on a new, fantastic, noteworthy train station! Looks like you captured some of the fireworks and fun!